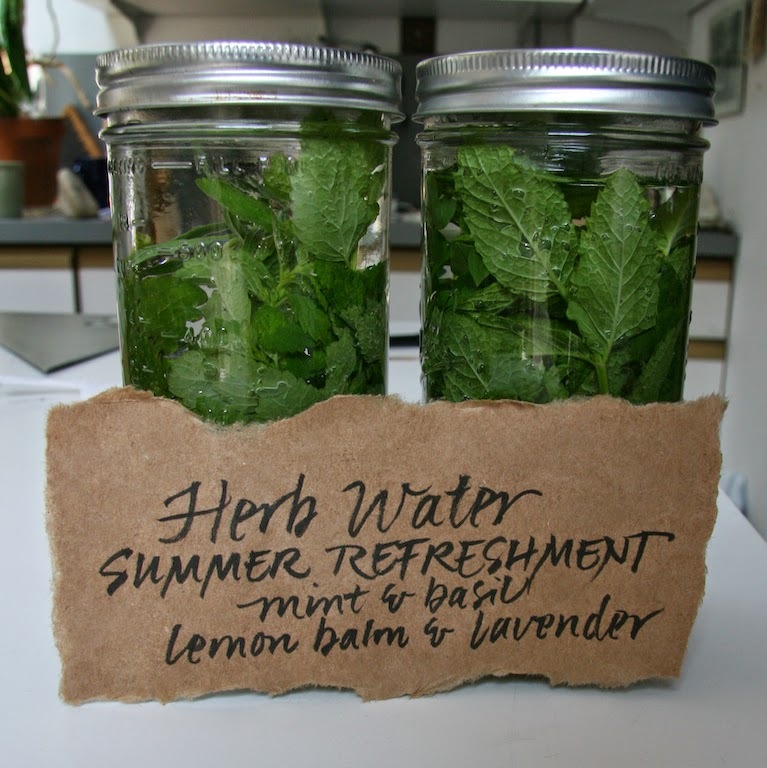 I've been making herb water for a summer drink. It's so simple. I put herbs and water in a jar, put it in the refrigerator overnight, and then pour. I replenish the water as I use it for a few days and then start over. 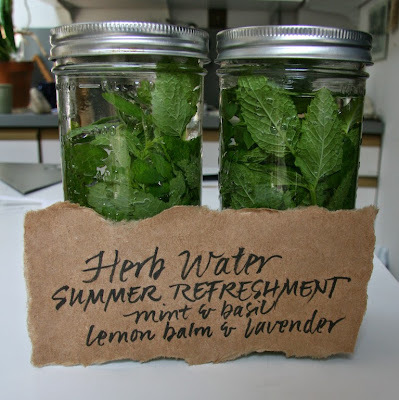 Combinations I've tried and liked: mint and basil, mint and tarragon, lemon balm and lavender. You could also add a lemon or orange slice.